All major protocols for secure EDI-INT are supported including AS1, AS2, AS3, AS4, OFTP, FTPS, RNIF 2.0, and NAESB/GISB. Powerful EDI translation components with EDI schema support, easy-to-use XPath style document navigation, and more. Successfully completed interoperability certification with all other Drummond / DGI (UCC) AS2 & AS4 certified products. Native software components for any supported development technology – with no dependencies on external libraries. The EDI Integrator provides the utmost in flexibility for developers and businesses interested in enabling their software systems with Internet EDI capabilities, resulting in better and faster system integration, lower cost, and better overall ROI. Supports the full range of AS1, AS2, AS3, and AS4 security features including signing, S/MIME encryption, digital certificates, and MDN-based receipts. Odette File Transfer client integration (v1.1 – 1.4, V2). Transfer files to and from FTP/S servers. Supports SSL, Digital Certificates, and advanced proxy/firewall settings. NAESB / GISB Components with support for North American Energy Standards communications (EDM) protocol. MLLP Client and Server for HL7 document transfer. New enterprise enhancements such as 64-bit support, IPv6 addressing, PEM key support, Quoted Printable encoding, and much more! Fully customizable components, designed to easily integrate with existing systems. Comprehensive AS2 client / server web application included with full source. Support for certificates with strong cryptographic features such as SHA2 and key sizes 2048 bits or larger. 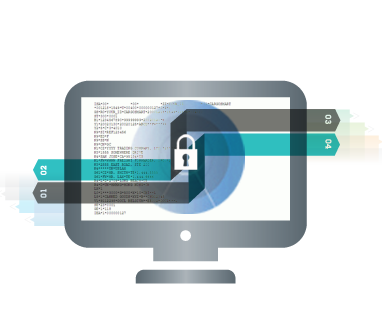 Secure data communications using up to 256-bit strong SSL encryption and digital certificates. FIPS 140-2 compliant cryptography (Windows only). Advanced Digital Certificate capabilities allow you to create, sign, and manage X.509 Digital Certificates. Become your own certificate authority. Fast, robust, reliable – the components consume minimal resources.